Made from multifilament polypropylene rope, this is the lightest is of manmade fibres, meaning that it is soft to the touch floats if dropped. These qualities make multifilament the most suitable material for use on the inland waterways. This rope is eye-spliced to form a loop at one end, with the other end being back-spliced to prevent unravelling of the rope. 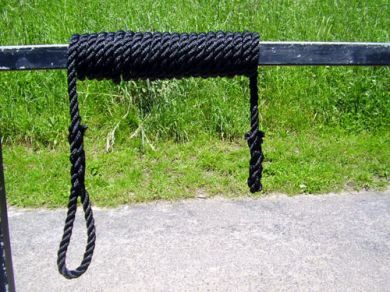 For a more traditional looking rope, polyhemp is also available as an option. This mimics the look of natural hemp whilst still being rot-proof.